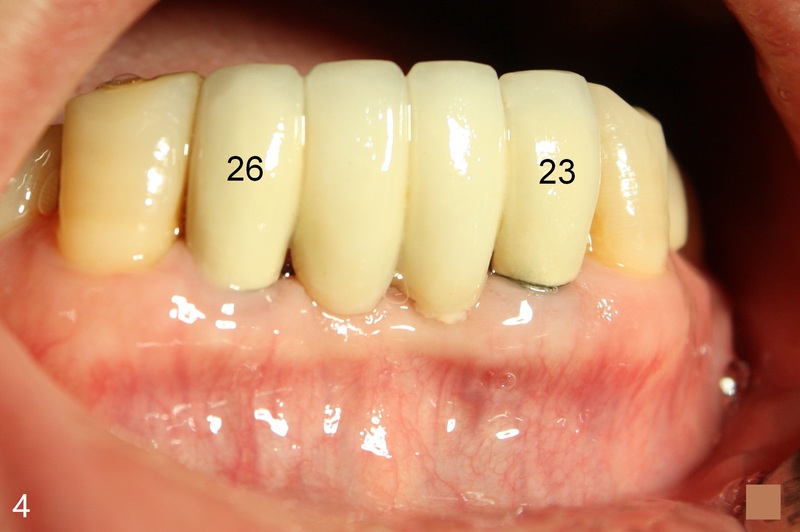 Partial denture is a removable device to replace one to several missing teeth. It is not only inconvenient, but also has no protection for our teeth when we have a trauma. 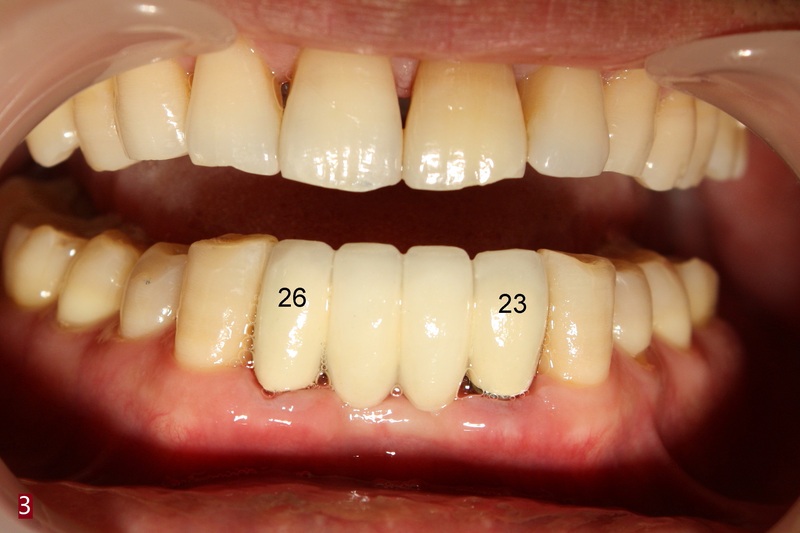 Mr. Hou lost 2 bottom front teeth in his 20s. Since then he had used a partial denture. 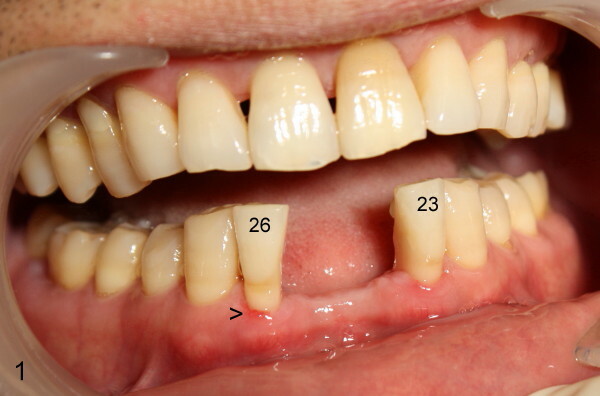 In his 40s, he had an accident, which made the neighboring teeth (Fig.1 #23 and 26) become loose and reddish (>). 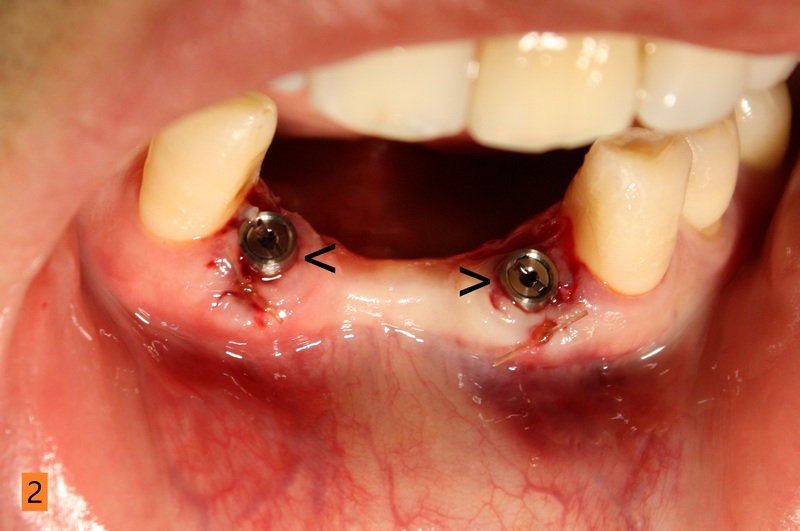 The loose teeth were replaced by 2 implants (Fig.2 arrowheads). A few months later, a 4-unit bridge is cemented (Fig.3). The bridge (fixed device) is doing great in 7 years (Fig.4). Unless partial denture, implant is stronger than our own teeth. In a severe accident, the implant may remain unharmed, while our own teeth may become fractured and/or loose.